Three of PRO’s experienced referees have made the journey to the Far East, where they have been officiating in the Chinese Super League. Ted Unkel, Dave Gantar and Drew Fischer are the three officials who have made the trip to Asia, where they have already been involved in the thick of the action. Towards the end of October, Fischer refereed the CSL game between Chongqing Lifan and Shanghai Shenhua, a game which featured former Seattle Sounders striker Obafemi Martins. Unkel was then the referee for Jiangsu Suning versus Beijing Guoan, while Gantar operated as the Video Assistant Referee for the match. This week, Gantar will be the man in the middle, taking charge of Shandong Luneng versus Hebei China Fortune in the city of Jinan – a game which takes place on November 4. PRO’s referee manager, Michael Kennedy, said: “PRO are delighted to send three of our referees across to China to support the Chinese Football Association and the Chinese Super League. 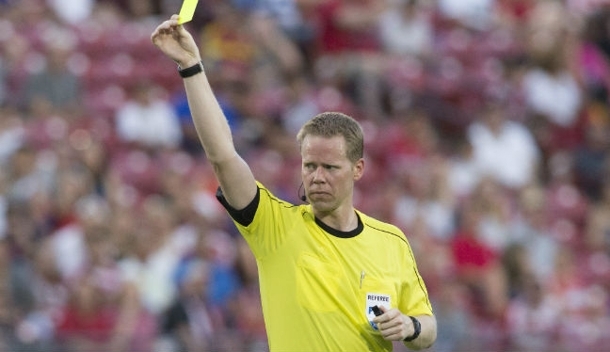 “PRO and MLS have led the way with Video Review this season, and we believe our experience will hugely benefit the CSL as they test the system ahead of next year’s full implementation.